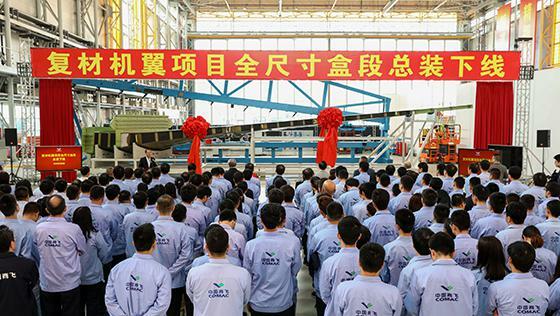 Full-scale wing box section of composite wing program rolls out__Commercial Aircraft Corporation of China, Ltd. Recently, the full-scale wing box section of composite wing program of Commercial Aircraft Corporation of China, Ltd. (COMAC) rolled out. This program provides a technological reserve for the future development of the C919 aircraft, and relevant verification work will be carried out subsequently.